Today’s project comes from a German YouTube tutorial. 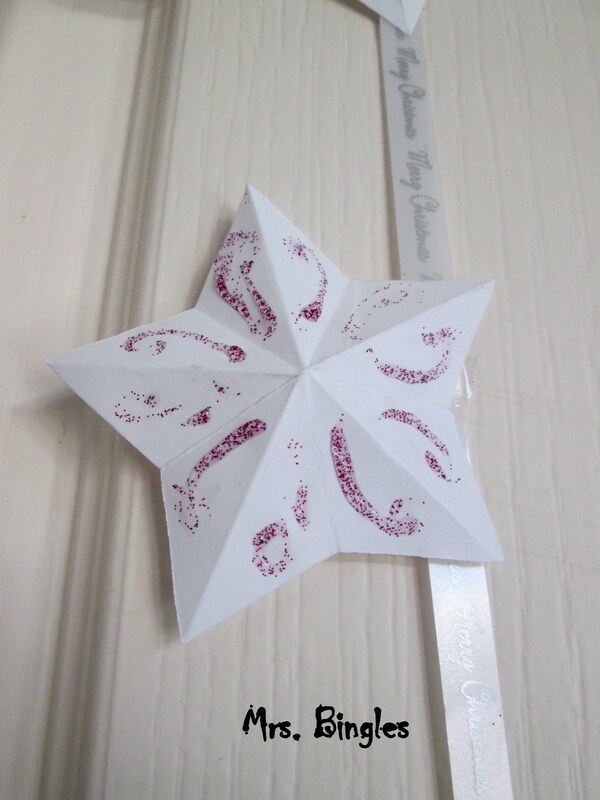 I’ve alway liked German simple and effective crafts, so I decided I wanted to make these paper stars. I followed this video and added some personal touch. 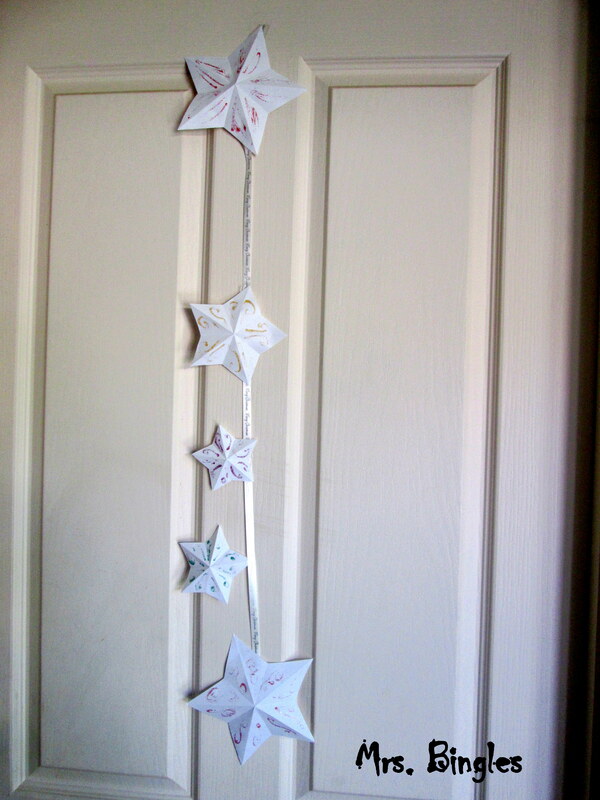 I made 5 stars, representing my family and hang it up on one of our doors. These stars would be lovely in different colours too!